Manuscript submitted October 14, 2015; resubmitted November 4, 2015; accepted January 29, 2016. OBJECTIVES: To evaluate the ability of low-level fasting high-density lipoprotein cholesterol (HDLC) to predict the incidence of type 2 diabetes (T2D) in an Iranian high-risk population. 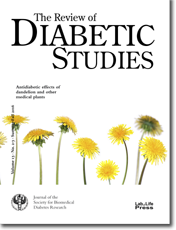 METHODS: Seven-year follow-up data (n = 1,775) in non-diabetic first-degree relatives (FDR) of consecutive patients with T2D aged 30-70 years were analyzed. The primary outcome was the diagnosis of T2D based on repeated oral glucose tolerance test (OGTT). We used Cox proportional hazard models to estimate the hazard ratio (HR) for the incidence of T2D across quartiles of HDLC, and plotted a receiver operating characteristic (ROC) curve to assess discrimination. RESULTS: The highest quartile compared with the lowest quartile of HDLC was associated with T2D in age- and gender-adjusted models (HR: 0.83, 95% CI: 0.73-0.95). Further adjustment for fasting plasma glucose and cholesterol attenuated the association for T2D incidence (HR: 0.93, 95% CI: 0.80-1.08). The area under the ROC curve for HDLC was 54.1% (95% CI: 50.2-58.0). CONCLUSIONS: HDLC level was a weak predictor of T2D in an Iranian high-risk population, independent of age and gender.